Maintaining normal blood pressure is important to your health, as it keeps oxygen and nutrients traveling to the tissues and organs throughout the body. Normal pressure is also needed for white blood cells to be sent around the body to promote a healthy immune system. Besides delivering life-enhancing oxygen, nutrients and antibodies, blood pressure allows the blood to pick up toxic waste products of metabolism, including carbon dioxide and toxins from our liver and kidneys. What’s the driving force behind all of this pressure? The heart. With each contraction, the heart pushes blood through the arteries and veins. An easy visual is to think of the heart as a pump and the arteries and veins as the pipes. What is proper blood pressure? Since the mid-1800’s, blood pressure has been measured with a variety of devices that exert enough force to stop blood flow, just briefly. That is the point when arterial blood pressure is measured. By using a stethoscope, a healthcare provider can identify the precise point when pulse returns when the pressure is released. They’re listening for two specific things – systolic and diastolic pressure. Systolic pressure is the higher number in a pressure reading such as 120 over 80 and originates when the heart contracts. The diastolic number is the lower one and represents the brief resting period between heartbeats. 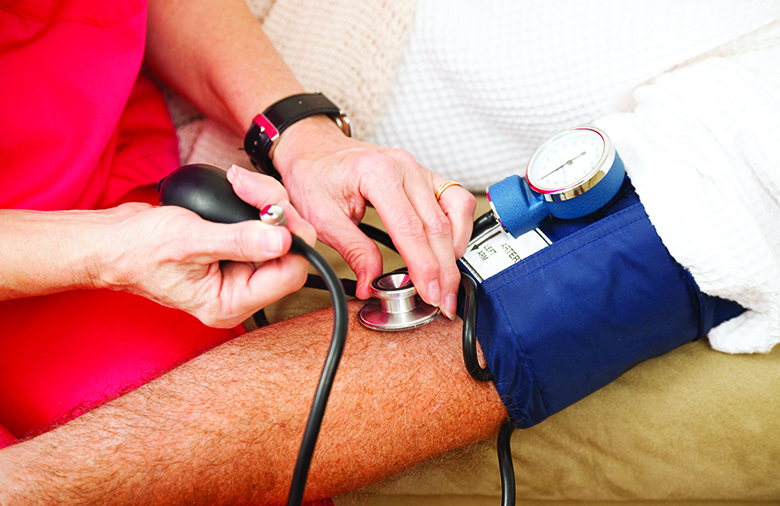 If you are unsure of your blood pressure reading, make an appointment to be seen by your healthcare provider. Your doctor may have specific recommendations besides the above, including medications, supplements or other treatments.